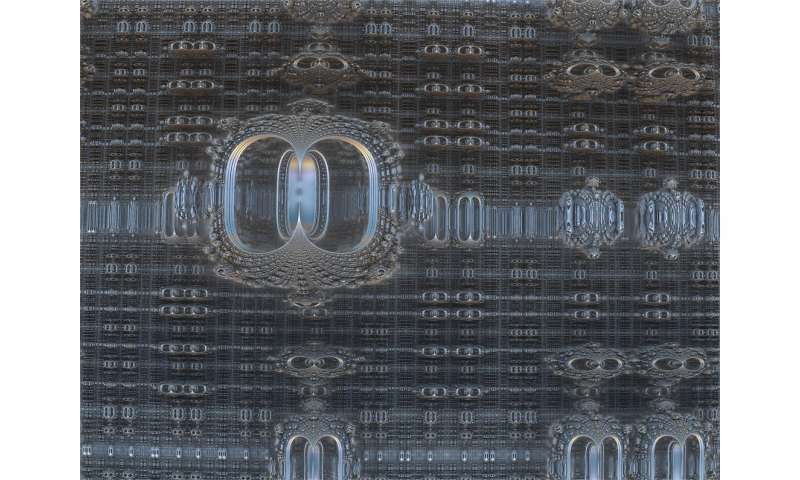 USC scientists have demonstrated a theoretical method to enhance the performance of quantum computers, an important step to scale a technology with potential to solve some of society's biggest challenges. The method addresses a weakness that bedevils performance of the next-generation computers by suppressing erroneous calculations while increasing fidelity of results, a critical step before the machines can outperform classic computers as intended. Called "dynamical decoupling," it worked on two quantum computers, proved easier and more reliable than other remedies and could be accessed via the cloud, which is a first for dynamical decoupling. "This is a step forward," said Daniel Lidar, professor of electrical engineering, chemistry and physics at USC and director of the USC Center for Quantum Information Science and Technology (CQIST). "Without error suppression, there's no way quantum computing can overtake classical computing." Quantum computers have the potential to render obsolete today's super computers and propel breakthroughs in medicine, finance and defense capabilities. They harness the speed and behavior of atoms, which function radically different than silicon computer chips, to perform seemingly impossible calculations. But qubits are as temperamental as high-performance race cars. They are fast and hi-tech, but prone to error and need stability to sustain computations. When they don't operate correctly, they produce poor results, which limits their capabilities relative to traditional computers. Scientists worldwide have yet to achieve a "quantum advantage—the point where a quantum computer outperforms a conventional computer on any task. The problem is "noise," a catch-all descriptor for perturbations such as sound, temperature and vibration. It can destabilize qubits, which creates "decoherence," an upset that disrupts the duration of the quantum state, which reduces time a quantum computer can perform a task while achieving accurate results. "Noise and decoherence have a large impact and ruin computations, and a quantum computer with too much noise is useless," Lidar explained. "But if you can knock down the problems associated with noise, then you start to approach the point where quantum computers become more useful than classic computers." USC is the only university in the world with a quantum computer; its 1098-qubit D-Wave quantum annealer specializes in solving optimization problems. Part of the USC-Lockheed Martin Center for Quantum Computing, it's located at USC's Information Sciences Institute. However, the latest research findings were achieved not on the D-Wave machine, but on smaller scale, general-purpose quantum computers: IBM's 16-qubit QX5 and Rigetti's 19-qubit Acorn. To achieve dynamical decoupling (DD), the researchers bathed the superconducting qubits with tightly focused, timed pulses of minute electromagnetic energy. By manipulating the pulses, scientists were able to envelop the qubits in a microenvironment, sequestered—or decoupled—from surrounding ambient noise, thus perpetuating a quantum state. "We tried a simple mechanism to reduce error in the machines that turned out to be effective," said Bibek Pokharel, an electrical engineering doctoral student at USC Viterbi and first author of the study. "To the best of our knowledge," the researchers wrote, "this amounts to the first unequivocal demonstration of successful decoherence mitigation in cloud-based superconducting qubit platforms ... we expect that the lessons drawn will have wide applicability." "Quantum computing is the next technological frontier that will change the world and we cannot afford to fall behind," Harris said in prepared remarks. "It could create jobs for the next generation, cure diseases and above all else make our nation stronger and safer. ... Without adequate research and coordination in quantum computing, we risk falling behind our global competition in the cyberspace race, which leaves us vulnerable to attacks from our adversaries," she said. but if it ain't majorana, do we care? How do you enhance the perfornance of something that really doesn't exist? How do you make a comment that 'something ... really doesn't exist' when the article show (references that show) that it exists, as well as the observed improvement? How do you enhance the perfornance ...? Ontology has not been the point of science since Lagrange. Hermicity allows both annihilation and creation operators. Now whether we want coherent or dispersive packets is another question. This race may not end, unless it was over before we began. Non-singular quasi-particles, may not have an information density. But relation permits projecting this into another dimension, to get to the point. Dualities make a good case to ignore indiscernibles, to leave them as other forms of distinguishing. As does taking a seeming emergent theory instead as a pseudo-tensor, absolute surface left, with energy locally displaced, but then you are messing with the serenity of Lorentz-invariance. Timelessness is a useful reference in computation, as is the causally emergent. Perhaps performance depends on the function, unity, and the amount of error correction of relaxation permitted. Optimizing, no optimal, as a mode. Seeking seeking. You question is very valid because dynamic decoupling maybe a little different than multiple decoupled harmonic oscillators. I am still unsure if it would have symmetric or anti-symmetric operators. Harmonic oscillators should be placed on the pedestal. They are and eloquent solution and make good arguments for anthropic claims. Classically they can explain the constraints of our extraction of the mean, of bits flipping ever faster, in some theoretic frame. Seems like quantum algorithms are going to need error detection built into the program. On classical computers it's built into the hardware.